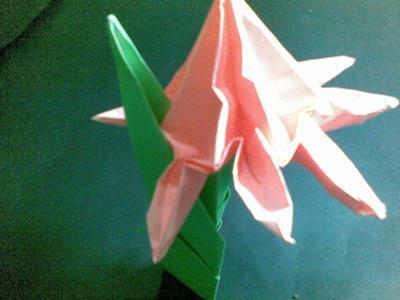 This flower is one of the first origami models I have made, but I am very proud of it. I have just started to learn origami from the internet and make my own. You are right to be proud. I hope you've continued folding and will share more photos. Nice work!